Every day the body is subjected to electrostatic discharges which often continue during the night due to friction between the sheets, covers and clothing. This exposure has negative effects on our everyday life. We feel tired, irritated and restless because we can’t get the sleep we need. 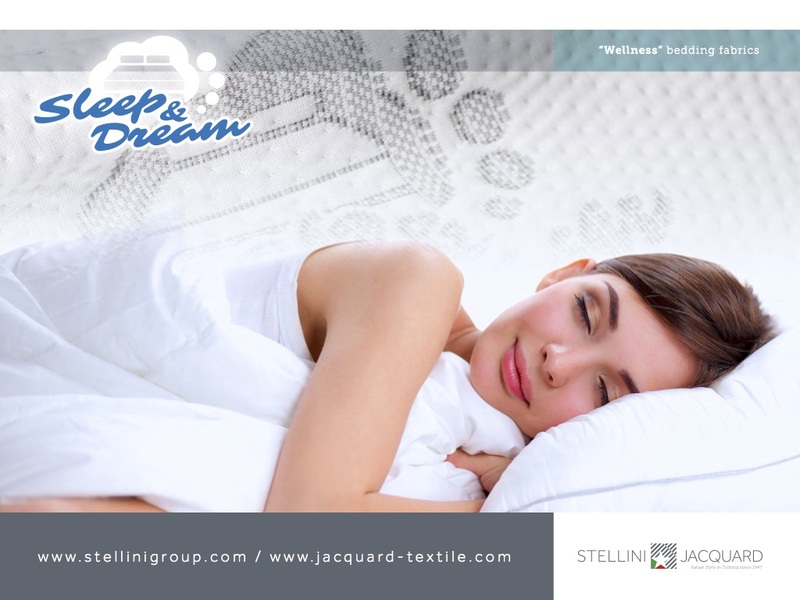 Sleep and dream gathers the body’s electrostatic electricity and, through conductive particles present in the yarn and on the surface of the fabrics, discharges it into the air. In this way the electrostatic charges and their negative effects are reduced to a minimum. Screening against electromagnetic pollution present in the atmosphere and in the body.